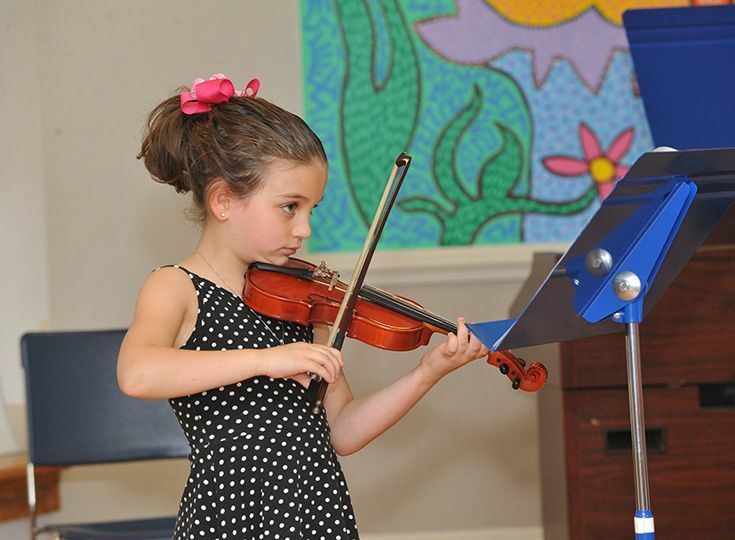 Gill St. Bernard's School takes pride in fostering a balanced life and education for all students. 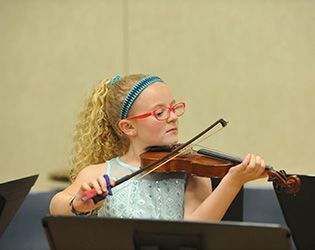 Opportunities abound for those at GSB to express themselves via The Arts, participate in annual events and extended day programs, compete and learn via a wealth of extracurricular activities, and much more. Gill St. Bernard's is one of twelve high schools in Somerset County that belong to the Academic League. Students compete against other area schools in a quiz-bowl type format in over 25 academic categories including science, math, geography, sports, and computers. Student Hosts: A group of students (mostly 9th graders) who serve as hosts to visitors applying to the Upper School. Student Hosts play an important role in the application process by showing others what a day in the life is like at GSB. Tour Guides: A group of 10th-12th grade students who attend our fall Open Houses and show prospective families around campus. Tour Guides are able to convey important information about GSB and also share stories about their own experiences. The Art Club serves as an outlet for expression and collaboration for the entire GSB community. The group meets two times a week throughout the year and creates artwork and displays for the rest of the school to enjoy. These temporary installations include the black tape mural gallery in Chapin, painted flower pots with GSB’s core values for the Middle School, and seasonal installations each quarter. Advisor: Mr. Rossi. Additional club details coming soon. In conjunction with the Office of Student Life and Mr. Wendell. Advisor: Ms. Poticny. Additional club details coming soon. 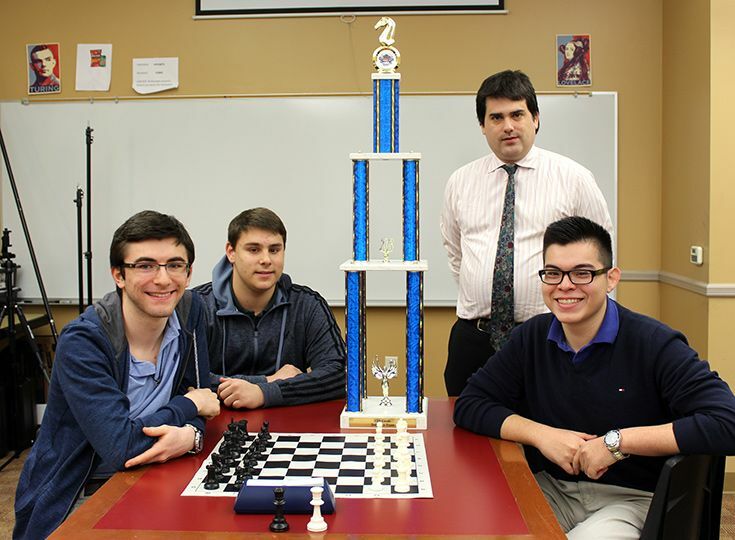 Introduced in 2015, the Chess Club is one of the newer clubs on campus and still features the original founding students. It has grown now to a club of fourteen players who meet twice a week throughout the year. Chess Club is a great option for students who have a love for chess, want to improve their playing abilities or want to learn to play. 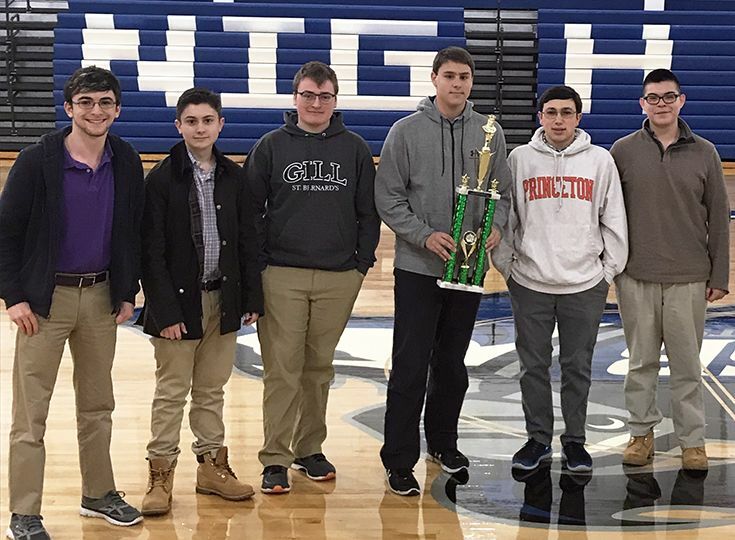 Members of the Chess Club also compete in regional and state tournaments and have been won New Jersey grade-level champions three years running. Advisor: Ms. Barrett. Additional club details coming soon. The Current Events Club meets to discuss topics currently in the news cycle, with meetings often focusing on local concerns. Advisor: Ms. Hiott. Additional club details coming soon. The Environmental Club at Gill St. Bernard's strives to not only make GSB a greener place, but to encourage students to take care of the environment and to help in the transformation of our school. The Fishing Club is a great way to go out and experience all that the expansive Gill campus has to offer. The Fishing club meets during the week in the fall and spring, usually at the Home Winds pond. Instruction is provided in knot-tying, casting, lure/bait selection, the importance of stealth, and humane catch and release. Students who participate in this club will learn about enjoying the outdoors, treating the fishes gently, and the importance of perseverance. In addition, fishing is a great antidote for everyday stress. Gill St. Bernard's offers a wide array of community service opportunities on and off campus throughout the academic year. The Office of Student Life coordinates student-driven activities which help to serve local institutions and community organizations. Specific activities involving the New Jersey Food Bank, the Samaritan Homeless Interim Program, New Jersey Blood Services, Habitat for Humanity, the Interfaith Food Pantry, and many others allow students to develop their generosity of spirit while having a positive impact on those in need. 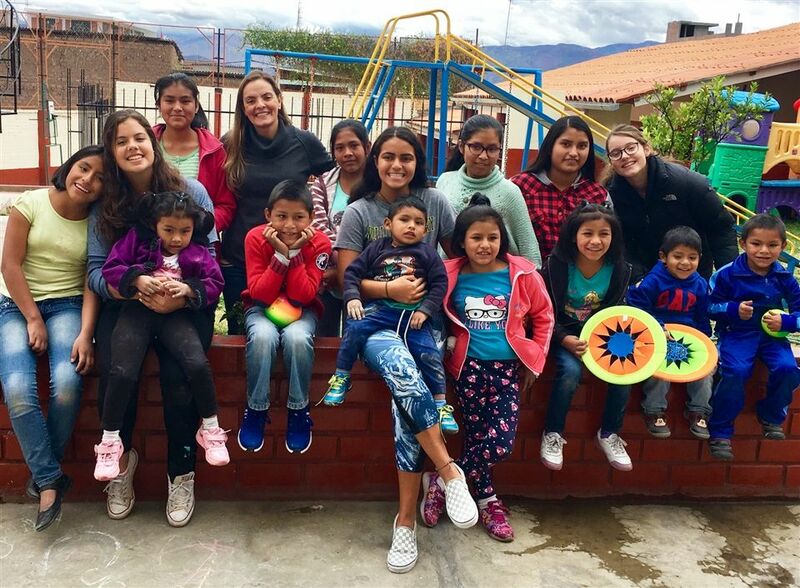 Although community service is not required at GSB, student participation is extremely high and the program fosters the school's mission and core values, which include commitment, compassion, honor and responsibility. The Gay Straight Alliance brings students together to support each other and create a platform for bringing awareness to the community about issues regarding LGBTQ youth. The club will host student forums, the National Day of Silence and No Name Calling Week. The Gender Equality Club provides a welcoming and inclusive opportunity for group-based discussions on gender related issues. These topics can range from personal discussions to events that are being covered in the news such as the #MeToo movement. The club is currently in its fourth year and runs throughout the academic year. Members meet during free period on Fridays. The Gill for Diversity Club (GFD) is an Upper School leadership group of students who have attended various conferences and summits, participated in facilitation skills trainings and have demonstrated an interest in working with other students on issues of diversity and social justice. Their mission is to educate their peers about issues concerning diversity and equity that affect the school community and the world as a whole. GFD meets every Thursday at 10:30 a.m. This past year, GFD has hosted several student forums focused on religious identity, body image, and race identity where students are provided the space to voice their perspectives in a respectful and meaningful environment. 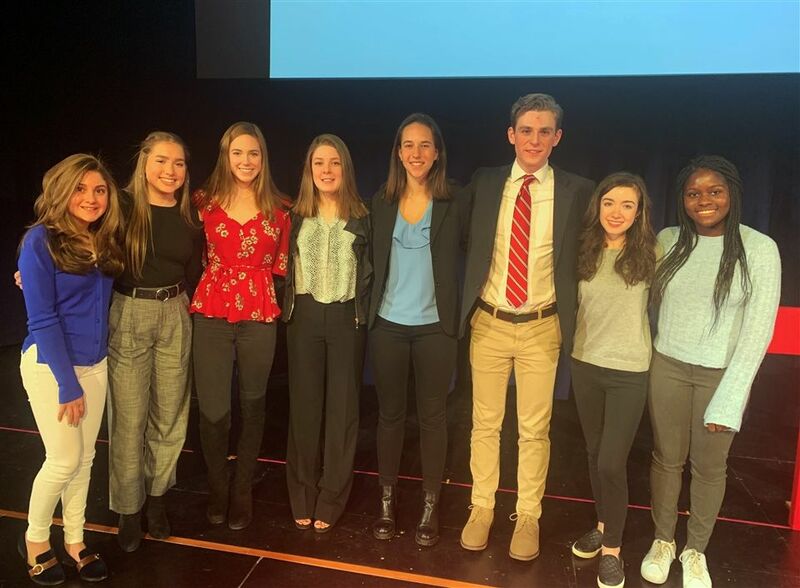 In addition to student forums, the club initiated a “kindness matters” campaign, hosted a movie night and participated in a student exchange experience with Franklin High School in Somerset, NJ to compare and contrast life in public and private schools. Girls Who Code club is a free, afterschool activity for girls in grades 6 to 12. This club is a chapter of the national Girls Who Code organization and is focused on inspiring girls to get involved in computer coding. Currently, girls and women represent 18% of all college graduates majoring in computer science. According to the Girls Who Code website, in 2020 there will be 1.4 million computing related jobs and women are on track to represent just 3% of those workers. The Girls Who Code curriculum and activities focus on active project-based learning in a fun and friendly space. The club will meet from 3:00 to 5:00 p.m. on Wednesdays in Hockenbury room 201. Ms. Mruk and Ms. Petrone sponsor this club. The GSB book club meets weekly to discuss books, share novel suggestions, plan author visits, suggest books for the library collection, etc. Additionally, once a month, group members come together to discuss a book that they have all read. These books are chosen by the book club after hearing suggestions from the club’s members. This year the group is hoping to build upon the success of the summer reading discussions to create more dialogue regarding reading at the school. H.O.P.E. is a community service group that works in collaboration with the G.S.B. (Give Something Back) Club. H.O.P.E. stands for Helping Other People and the Environment. The group meets once a week to plan and carry-out several annual events including the Fall and Spring Blood Drive, Earth Day Tie-Dye T-Shirt Celebration, Christmas Toy Collection for El Centro Hispanoamericano, and other fundraiser endeavors to support a variety of causes on both a local and global scale. This is a student driven organization. Each year, students can propose different events and fundraisers they would like to see fulfilled that year. Our purpose is to help bring hope to those in need, whether they be our neighbors or friends abroad. Advisor: Mr. Arnett. Additional club details coming soon. Advisor: Armstrong/Small. Additional club details coming soon. Advisor: Brown. Additional club details coming soon. 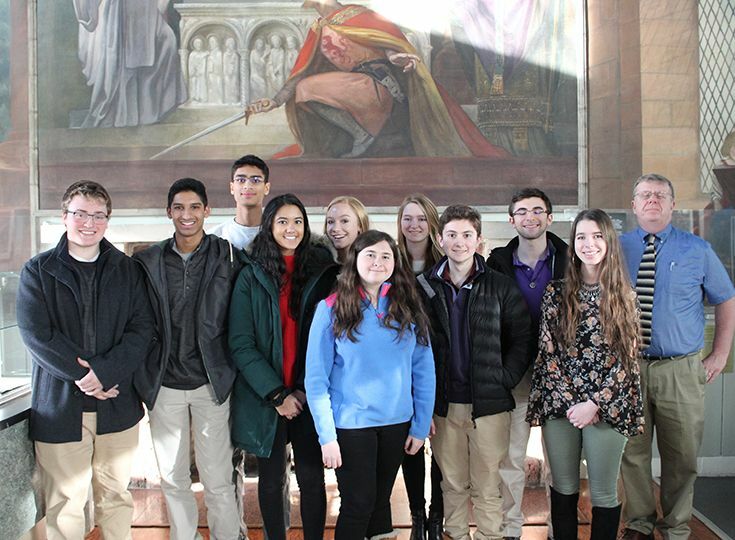 GSB students compete in the NJ Math League, which has six competitions throughout the school year. In addition, the students compete in the American Math Competition, which is held each February. 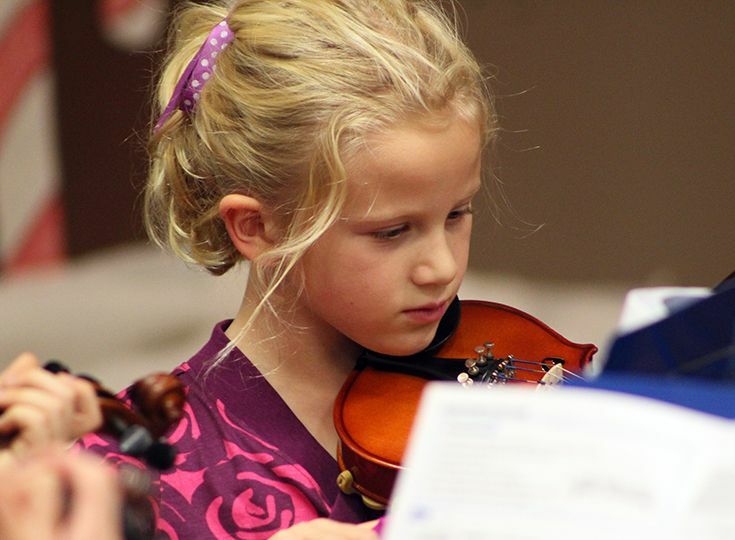 The students meet once per week during the school day from October - March to prepare for the competitions. Now in its 25th year, Mock Trial is one of the older clubs at the school. 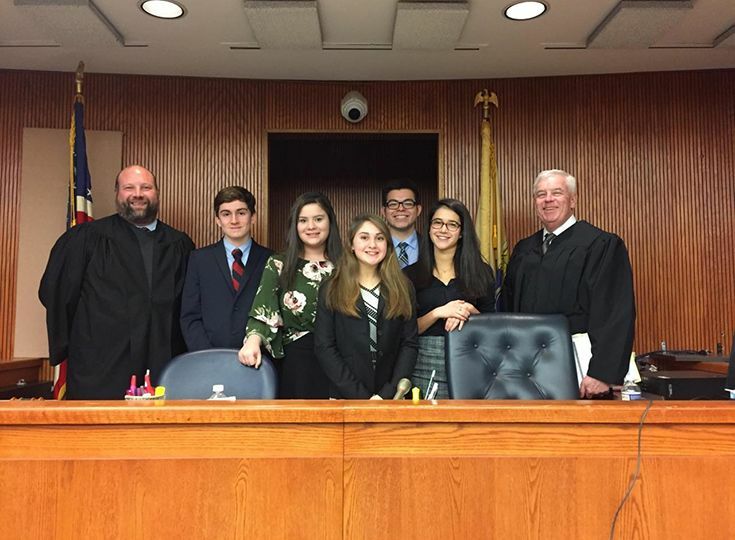 The club is led by multiple faculty members who help prepare students for the New Jersey Mock Trial Competition. Students hone their skills on creating opening statements, establishing lines of questioning and closing arguments. This is a great club for students who are interested in law, legal process or government. The club runs from late September to February. Model UN enters its tenth season on the Gill campus. The club meets weekly throughout the year, and in addition to campus meetings, participants attend four conferences and one training session as well. With a total roster of 40 students, Model UN includes multiple student leadership roles. The main goal of the club is to develop students’ global understanding, research skills, public speaking skills, problem solving ability, and crisis handling negotiation all while having fun. 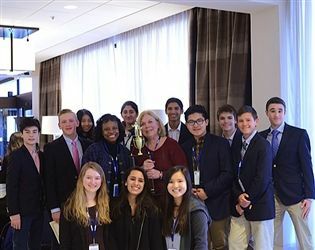 In 2016, the club won Outstanding Small Delegation at the Philadelphia Model UN. The Object Based Learning Club is in its second year. The main goals of the club are to teach younger students about the history of GSB through sharing objects, activities and lessons built around the school’s extensive archives; strengthening the GSB community; and encouraging connections between the Upper and Lower Schools. 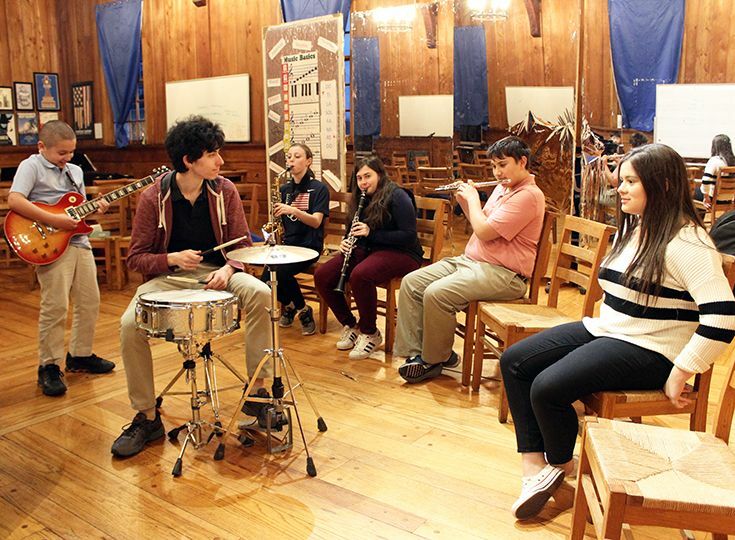 The club teaches short object-based (archival) history with Lower School students through interactive workshops and also takes part in workshops at the New York Historical Society in New York City. The Outdoor Club is open to any student who is interested in hiking, camping, canoeing and other outdoor activities. Three to four trips are planned per school year. Advisor: Mr. Wendell. Additional club details coming soon. Reading Buddies is one of the most interactive clubs that is offered at Gill. 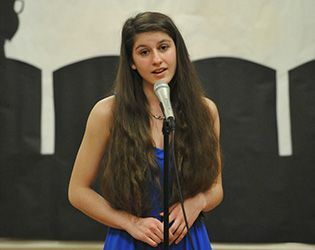 The program pairs Upper School students with Lower School students, with the older students reading to the younger ones and working with them on a range of activities that connect to the stories read. The main goals of the club are to encourage reading in the Lower School and create a bond between Upper School and Lower School students. The students meet at the Lower School every other Wednesday throughout the school year. It is one of the most popular clubs in the Upper School. "Team Chaos?" you ask. "What kind of name is that for a robotics team?" Well, our nominal meaning is twofold. First, our team works in a sense of organized chaos. 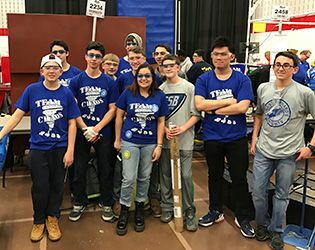 Every year the FIRST Robotics Competition releases a new game, and we have just six weeks to understand it and use our knowledge to build and code the best possible robot that will compete well in said game. 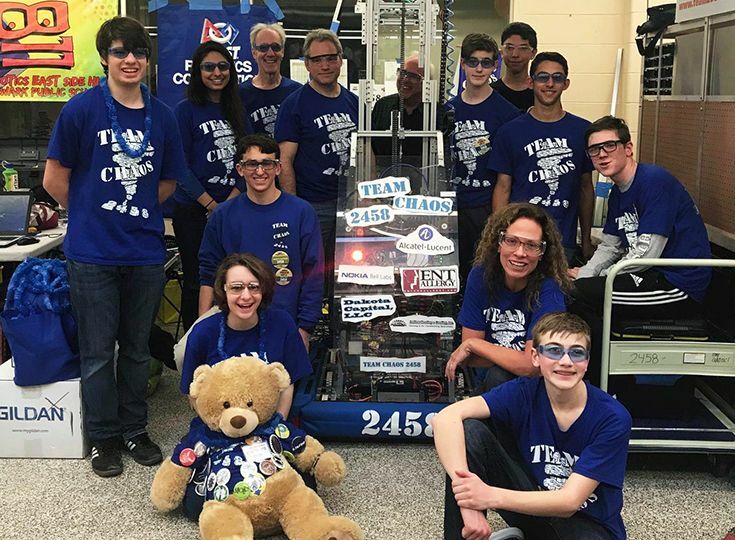 We are constantly preparing for the FIRST Robotics Competition every way we can, covering all the basics: programming, mechanical, and strategy are just a few of the duties we work on. Another chaotic factor that makes it more accessible to be part of the team is the fact that in addition to having our core work squad, we allow people to drop in whenever they can make it. 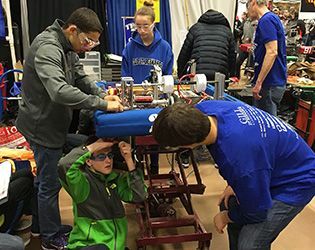 This way, students who have busy schedules or simply do not know much about robots in general can still experience the team setting, allowing them to gently ease their way into the field of robotic engineering. 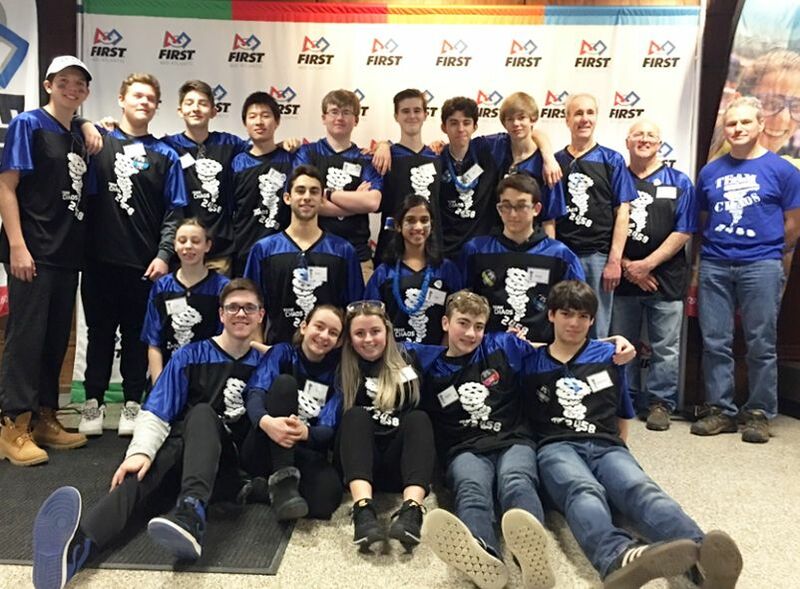 Finally, we're called Team Chaos because while we are always there with help and support for other robotics teams with FIRST's expected gracious professionalism, on the field we are the dominating chaotic factor the opposing alliance was never expecting us to be. Visit the club's website at chaos2458.com. Ski and Snowboard Club meets on Fridays throughout the months of January and February at Camelback Mountain in Pennsylvania. Participants depart campus at 3:30 p.m. and return to school by 10:00 p.m. The social committee club members are responsible for organizing the Homecoming dance, which takes place in September, and the PROM, which takes place in May. The members assign themes for the dances, purchase the decorations and are responsible for setting up prior to each event. They are expected to attend several meetings prior to each dance and be a team player with the rest of the committee. Student Government is comprised of a President (senior) and Vice-President (junior) along with three representatives from each grade level. The group meets on a weekly basis throughout the year to plan events, discuss student life and meet with members of the administration. 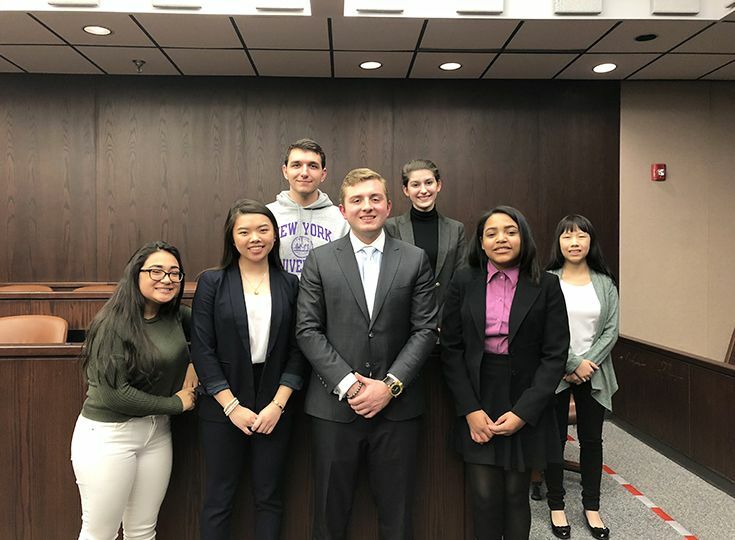 Throughout the years, student government has been instrumental in providing input on student life, as all members are encouraged to be advocates for their respective classes. This community service club was established in the 90’s at GSB. For almost two decades, the goals have been to recycle tech waste and help keep our planet healthy, to serve as peer tutors helping classmates, and to serve as teacher aides helping teachers/staff. The recycling efforts of the Tech Team earn “reward points” that have been used over the years to purchase equipment for our school and they have also been converted to cash and donated to charitable causes (GSB Tech Team donated $1,300 to Hurricanes Katrina & Sandy victims). Tech Team members this year did a wonderful job during the “Hour of Code” week in December. Throughout the week, they visited Lower School classes and helped the teachers to introduce and spark interest in computer coding at an early age. GSB will host a TEDx event in collaboration with Blair Academy on Wednesday, February 13, from 10:30 to 2:00 p.m. in the Performing Arts & Community Center. Seven student speakers will present. The Upper School newspaper is run by students with a faculty advisor. Students generally meet once a week during meeting time to work on articles, brainstorm ideas for the next issue, and edit copy. Students do layout, and printing is done on campus. Students in all grades are encouraged to participate. Photographers and cartoon artists are also needed. Effort is made to publish every six weeks or so. Staff members create and edit an annual creative writing journal featuring poetry, fiction, essays, and art work. 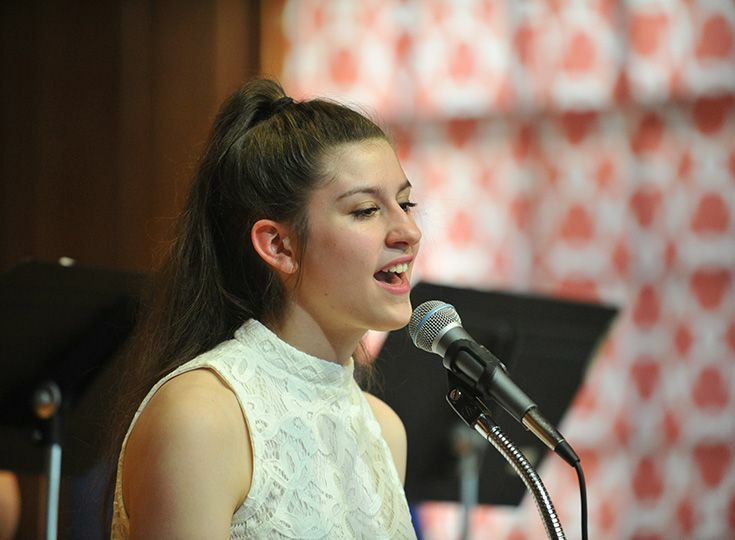 The magazine hosts and organizes several poetry readings during the academic year as well as writing workshops. Advisor: Ross/Canada. Additional club details coming soon. Advisor: Mr. Signorelli. Additional club details coming soon.